Proving themselves as kooky on stage as they are on track, Getintothis‘ Emma Walsh enjoys Glass Animals’ peanut butter vibes at Magnet. As we descended that familiar staircase into the red of The Magnet we had trouble trying to recall the last time we’d attended a gig in this particular Hardman Street haunt, it may well have been back in the fateful days of Manukah, but it was a comfort to see that actually, not much has changed. 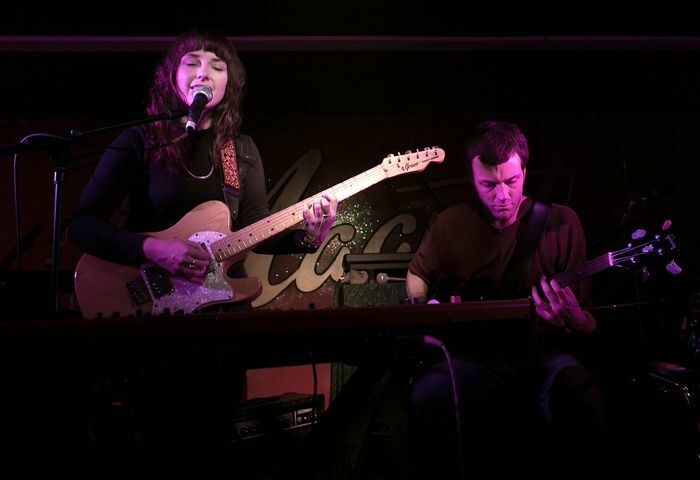 Dream pop melodist Laura Groves was in full swing as we took our place among a chatty crowd, so chatty in fact that Groves could hardly be heard. Sadly it seemed nothing Groves had to offer was enough to draw the attention of the trendy masses, sadder still, all we could make of her set sounded like a bad Kate Bush impersonation – probably not a worthy judgement and one we’ll reserve until we see her in a more hushed and appreciative setting. Not that Groves should take it personally, the crowd took some time to wind up their conversations even when the main attraction of the night took to the stage. 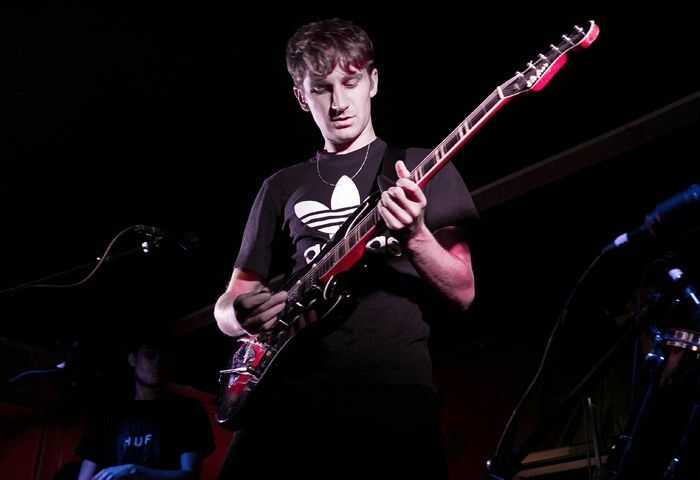 Glass Animals looked in fine form as they reveled in their warm welcome, clearly glad to be back in the UK after a month long trek around the US gigging circuit. And as they struck into crowd pleaser Black Mambo it was good to see the tour hadn’t taken any enthusiasm out of their performance. Frontman Dave Bayley looked like he’d stepped straight out of Madchester in a retro Adidas tee and thin gold chain as he threw his arms around with gusto. There seemed no end to Bayley’s wealth of fervour with every tune delivered with the same exuberance and accompanying grooves. It’s always a joy to see a band really enjoy a performance and with Glass Animals its infectious. Of course, all this results in an overriding sense of chaos and sadly with chaos the polish comes off the tunes more than an avid lover of the Zaba album like ourselves might have liked. At times it felt as if the guitar hanging around Bayley’s neck was in fact ornamental as he hardly had time to put it to good use with all the shapes he was throwing – not that you could blame him. When he finally does take the guitar in hand, he shreds it, matching the rest of the Glass Animals for an electric performance of Gooey. With peanut butter vibes like these there’s no fear of a lack of audience participation in song and dance but only Glass Animals put the aesthetics of the performance into the hands of their adoring fans, giving one lucky groover up front full control over the smoke machine to accompany Flip. 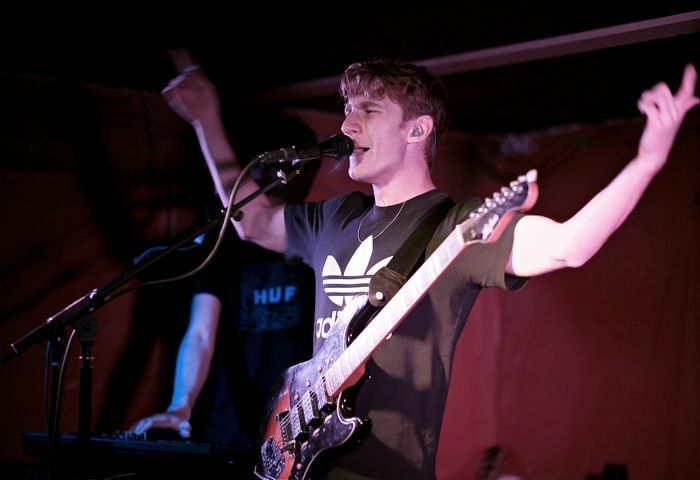 After a brief, and always unnecessary, flit off stage before the roaring return of an encore, the band put a firmly Glass Animals twist on Kanye number Love Lockdown before drawing the night to a close with their own fan favourite Pools. At long last the permanent chattering of the audience finally gave way to pure, unadulterated dancing, the band (with shegg) included.